According to President-elect Donald Trump, his 10-year-old son discovered who hacked into federal databases and the Northeast electrical company, this would be the last of many LOL’s on behalf on Donald Trump. He said that on Tuesday and therefore tomorrow or at the very latest Wednesday he will reveal who was behind the hacking, I guess he needs an additional briefing with a yesterday teenager son LOL. The possibility that it was the DNC that actually have themselves according obviously to Donald Trump is the most plausible response that will get more from the president elect. Now, my next question would be: Are we going to get this 10-year-old intelligence piece of work from a news conference or is the President-elect Donald Trump going to tweet to us? That’s a pretty good question, let’s wait and see, the only thing that is guaranteed that we are all going to laugh, unless you are a hard-core Donald Trump supporter! Russia: Vote for Donald Trump or face nuclear war. That is the word from the Kremlin, apparently one of Putin’s closest allies that is also a member of the lower parliament, stated on Russian television, that the Americans should think twice before voting for Hillary Clinton, because if she is elected, most likely it will bring to World War III and the United States will face a nuclear war with a devastating outcome. That’s who we are dealing with LOL. A joke! The Russians claim that they have new technology and undetectable missiles, they would strike first and the United States would not even know that they were attacked until it was too late. They claim that they have undetectable submarines that would launch hundreds of missiles on the continental USA from an extremely short range, they claim that NATO in Europe would be wiped out with a matter of minutes and the allies of the United States from around the world would be taken out within the hour. Accordingly to Pentagon reports the latest and most Marlin submarines built in the Russian Federation are 18 years old, they have from 20 to 25 intercontinental nuclear submarines against the 296 the United States, the ex-Soviet Union has 97 warships, 80% of them were built in the 80s. The United States in the past 20 years have been working on anti-missile programs, they all top secret, we all know they have been tested, we are far away from the patriot missile batteries, with talking about something a lot more sophisticated, missiles that can reach 4 1/2 times the speed of sound and therefore free faster than the Russian ballistic missile and therefore, from what we understand the Russians know about this but they pretend they don’t know anything about it. They know for a fact that all men missiles shot on continental USA will be shot down way before they reach out on the ex-Soviet Union, they know for a fact that they do not have undetectable missiles but the United States does. Let’s talk about the Russian Federation Air Force, then most modern aircraft is Mig 35 and is a remarkable aircraft, however that pilots go through a very basic training, that specific aircraft is not stealthy and they only have 92 of them. Wow, that’s truly impressive!! They also have a bunch of aircraft made in the early 90s such as the SU27 and the Mig 31, these aircraft however have never been updated therefore have the same basic technology as an F4 Phantom or the F-14 tomcat both have been retired here in the United States for several years. The United States on the other hand has 450 F 22 raptors, 90 F35’s these are totally undetectable aircraft capable of carrying nuclear weapons, capable of striking anything at incredible distances remaining undetected. Other attacks and defenses aircraft in the inventory of the Marines, Navy, Air Force and the Army, the number is around 4200, basically 5 to 1 ratio with the ex-Soviet Union. The bombers, it seems that Russia has enormous disadvantage here as well. The ex-Soviet Union has never come up with an effective Aircraft or at least a long-range bomber Since the late 1970s, while the other hand the United States has roughly 112 B1 bombers and 55 B2 stealth bombers. So maybe before threatening, I would suggest that the Soviet Union takes into serious consideration how outnumbered they are, and with an economy that is slightly better than the Spanish economy and therefore 16 times less than the US industry, as you can see these words were totally out of place and yes they are a laughingstock. I have been watching the news in these past few hours and beside the Hillary Clinton and Donald Trump tabloid trash, they are actually talking about serious issues occurring around the world, like the earthquake that shook the whole central Italy region killing at least 300 people and leaving 13,000 without a home. This is a region that has been struck by earthquakes hundreds of times but never wanted so devastating, never wanted so strong, and never one so close to the earth crust and that is actually why is poured down several city centers and caused so much damage in the region. As they are well prepared for these situations it seems that the Italian government has not asked for aid and will handle the situation internally. So far 65 people have been pulled out safely from the rubble of their homes but like I said unfortunately close to 300 innocent people men women and children alike unfortunately perished in this catastrophic event. My thoughts and prayers go to them and their families. US Navy and Air Force strike ISIS bases in Libya. This just started minutes ago apparently the official Libyan government requested several days ago in total secrecy for the United States and its allies to take action against ISIS bases in its country, the concern of the Libyan government while the fast expansion of the terrorist group in the area and that if something was not done the terrorist organization will be able to reach the major cities within less than a week. I’m watching CNN right now, and I can see some serious images of explosions occurring outside several major cities toward the west of the country. I have not yet heard that any of the coalition forces are involved in this airstrike beside the United States Air Force and Navy, but from what I understand Great Britain should take part in this operation either in the now or in the next few hours or days. However the operation is underway, the Pentagon claim that they will not stop until the job is done and that the threat is completely neutralized. 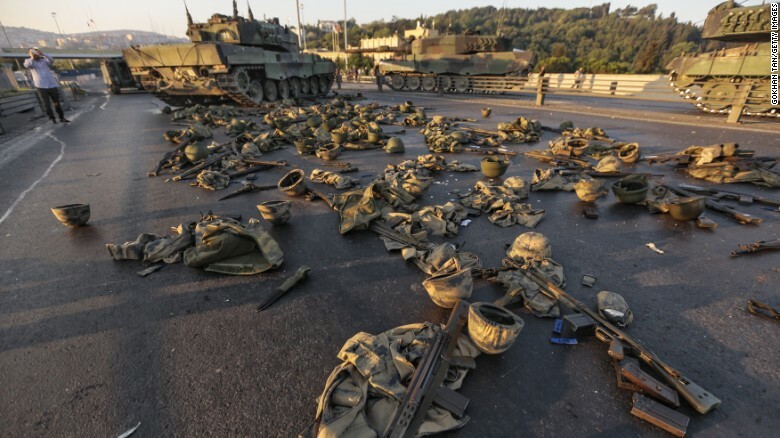 Turkey coup attempt: What do you all make of it? What do we make of this coup? Turkey is NATO member and the US has 4 bases in its domestic walls. It is a strategic country considering its location, but also because it’s the ONLY Asian NATO country among the 21. Turkey is very influent on its neighboring boarders and has gained trust in the bordering countries though out the past years. It’s seen as a pest to Russia, that sooner or later it will get its own back on them for hitting down one of its fighter jets early on this year. Turkey was a trade deal during the Cuban crisis. The deal was that the US would withdraw all nukes from Turkey in exchange of the Soviets taking back home their nukes from Havana. Turkey has been blamed many times in the past by the United Nations to have used brutal force on the Kurds and Amnesty International claim that their Jail system is worse than any WWII concentration camp. The failed coup brought to 5980 arrests and witnesses claim that some soldiers involved in the coupe were shot dead or beaten to death on the streets shortly after the legit government came back in control and restored order in the capital. For the truth to come up and surface, I guess we’ll have to wait a few days or even weeks, so I’ll be updating the article with what comes next! It looks like ISIS is losing drastic terrain both in Syria and Iraq, they are losing equipment and most of all thousands of men that are being killed either by drone attacks all by regular Syrian and Iraqi armies that are advancing rapidly taking back sissies occupied by the terrorist group in the past three years. Today’s attack on a US consulate in Saudi Arabia was just one of the many bombings that have occurred this week alone, it is incredible how ISIS has such a vast reach over all the middle east and Europe, while here in the United States they may have contacts with a very few domestic cells however have committed two different occasions terror attacks against American citizens, if you all remember San Bernardino California and recently in Orlando Florida. The suicide attacks in the middle east have increase and reached its peak, only in 2003 with a more suicide bombers that there are today, but considering that we are only halfway through the year unfortunately military and political specialists claim that this will be the worst year ever for terrorists attack taken out by suicide bombers. I was watching just a few moments ago the situation in Paris, where people are protesting against the police claiming that they are rude, Brazil and extremely impatient. Police responded with tear gas, pepper spray and a good beating with their batons. 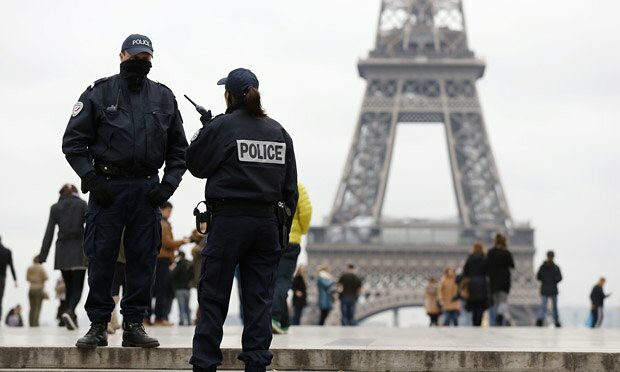 However the situation among the national police force in France got to the point where 95% of the officers claim that they are exhausted, and average on 18 hours a week over time her officer, in some places like the suburbs of Paris where there is a high concentration of the Muslim community, police officers are forced to work up to 65 hours a week. So I asked myself why on earth are they not hiring more police officers, the answer to that would be that they are, however they need at least another 11,000 new police officers just to cover central France and another 22,000 police officers to cover nationwide, it takes months to train a police officer anywhere in the world, especially in France with police training last 18 weeks and then after that trainees are put on the street as observers and not an official police officers for another six weeks. So basically what we have here is the first cadets are actually graduating and becoming official police officers at this time, the first wave of new police officers however is just over 500 units and therefore can barely cover a small portion of the French capital, the Ministry of internal affairs claim that they will have a new way within the next two weeks and so on until he reached the number of 22,000 new police officers put on the streets, however that will take roughly another year. You also have to keep in mind that the UEFA European cup ornament will be held in France in just a month’s time and with roughly 1.6 million soccer fans entering the country the need for appropriate security is needed absolutely. It is said that during the games 22% on security forces will be military personnel that is mostly trained for counterterrorism and special ops, so at least during this sports events the situation seems to be covered and partially under control. France but especially Paris has shown to be extremely vulnerable, it is an easy target for terrorists considering that 10% of the capital population was not born in France but in Muslim nations and another 15% off French Muslims most of which hates France and believe in Jihad. To be honest I would attend any of the soccer games even if I was given a free flight, hotel and a top-notch tickets for the stadium, and to be honest I have suggested to my friends over in Europe that should be attending the gains that Italy will be playing not to go for obvious security breaches and how easy it is to attack civilians in such a large and totally undefended city.